The first of several hundred California fast charge stations from Electrify America will be installed in the city of Torrance, the non-profit organization said. Electrify America said it will have nine of the fast-charge stations in the state by the end of the year and 160 by June of 2019. An unspecified number of additional California fast chargers will follow as the company fulfills a 10-year, nationwide public EV charger program. The fast charge stations are intended to facilitate long-distance travel in electric vehicles. Initial Electrify America fast-charge locations in California. Electrify America was established by Volkswagen to install public plug-in vehicle charging infrastructure as part of the automaker’s multi-billion settlement of its diesel emissions cheating case. The initial Caifornia station will be located at the Country Hill Shopping Plaza in Torrance. Others slated for this year will be in Montebello and La Mirada in Southern California; Madera in the San Joaquin Valley, Livermore and Novato in the Bay Area and Sacramento, Elk Grove and Dunnigan in lower Northern California. The first nine fast charge stations follow Highway 99 out of Los Angeles County and up the central valley to Sacramento, with a loop through the Bay Area. Future work on the California network will fill in the gaps on Highway 99. Stations are supposed to be no more than 125 miles apart and can be as close as 50 miles in heavily trafficked areas. 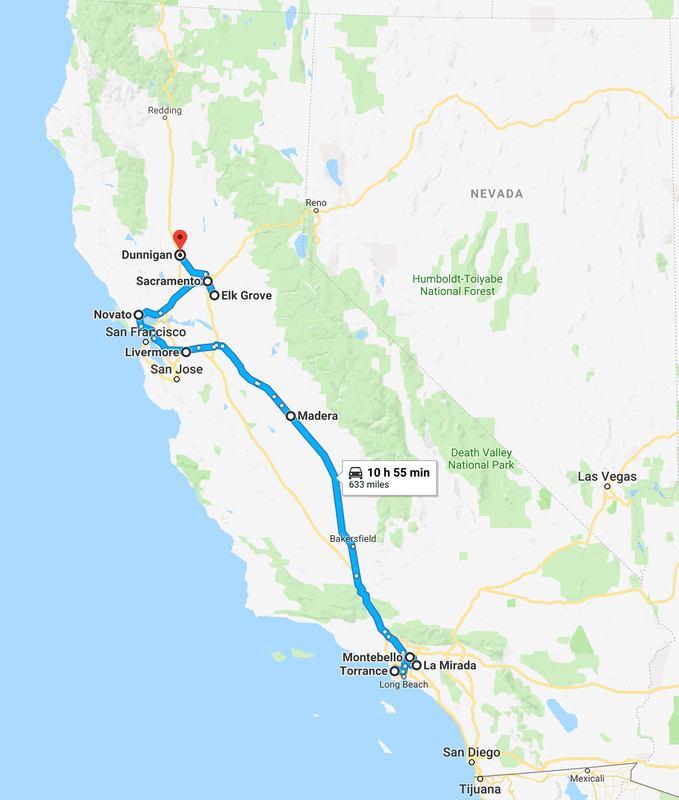 The expansion also will add locations in the San Diego and Los Angeles areas, along Highway 101 and Interstate 5 from Southern California to the Bay Area and extend the network north from Dunnigan up the Interstate 5 corridor to connect with stations being installed in Oregon. Eastern extensions, from Los Angeles to Las Vegas and from San Francisco to Reno, also are planned. A spokesman for Electrify America said the first nine locations were the quickest to bring on line. Factors affecting site selection include real estate availability and cost, availability of power, and local building permit processes. Ultimately, the nationwide Electrify America fast charging network will have sites along high-traffic corridors in 42 states, including two cross-country routes. Locations are planned for four to ten chargers each, with charging available power levels up to 350kW. That’s sufficient power to add up to 20 miles of range per minute to a vehicle – depending on the capacity of the vehicle’s fast-charge system.